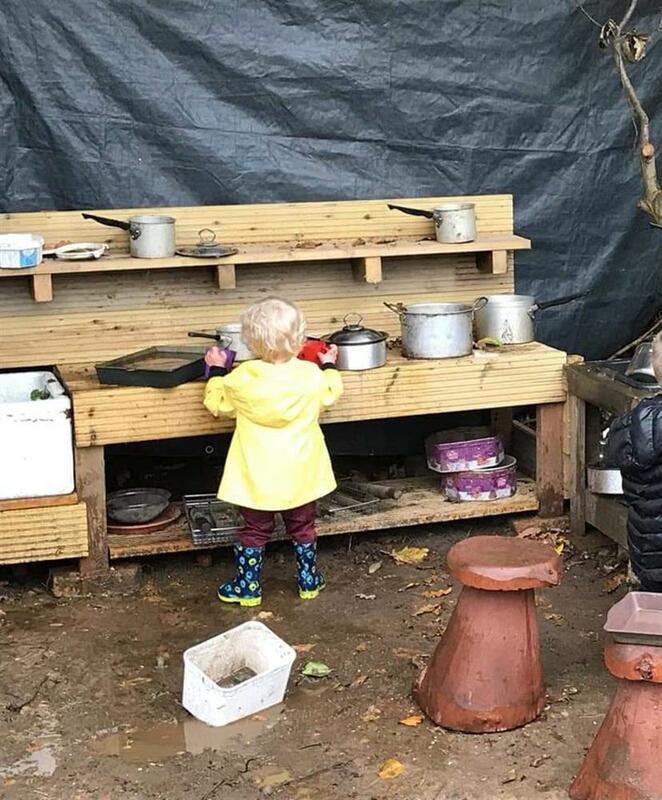 We need funding to buy and install posts that can be used to attach tarpaulins and create shelter over the fire pit and mud kitchen. 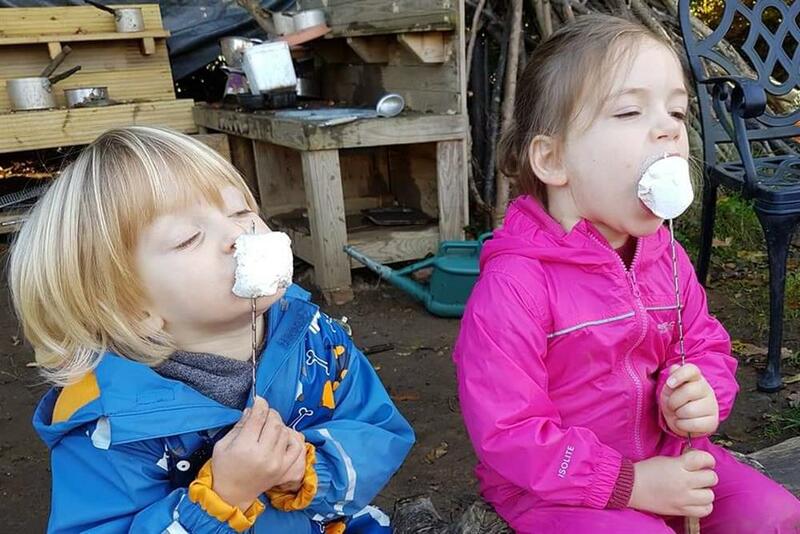 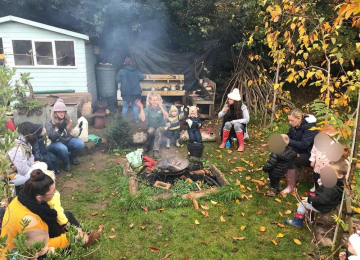 The Forest School area of Billericay Community Garden is used weekly by families and childcare providers. 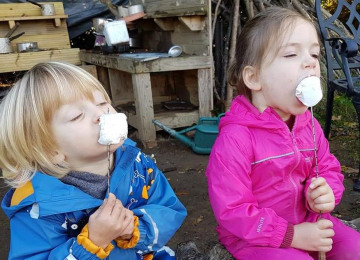 During wet weather it is very difficult to use and share time around the campfire. 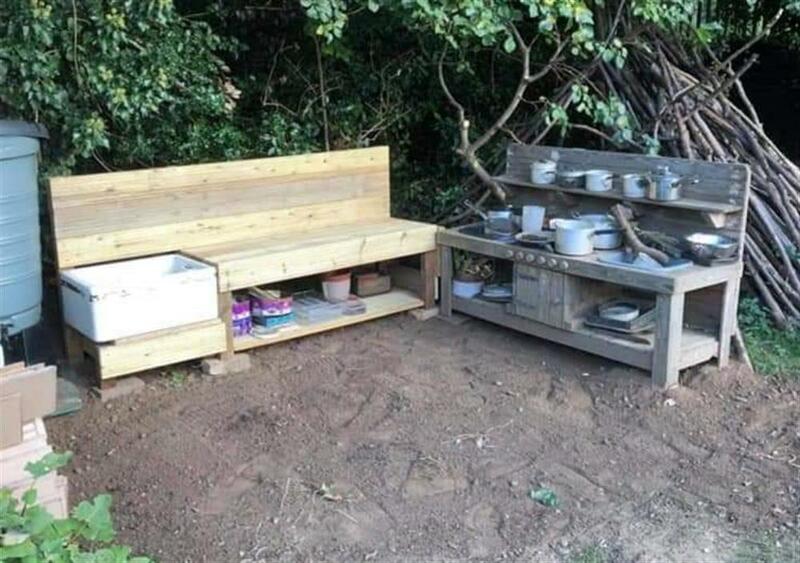 The mud kitchen area is extremely popular with Forest Schoolers and is always busy with mud pie making! 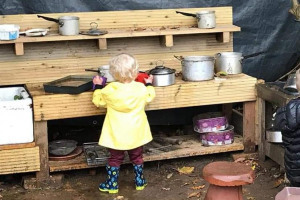 Both the fire circle and mud kitchen need posts installed that will allow tarpaulin shelters to be erected over them in wet weather so that they can be used and enjoyed by everyone all year round. 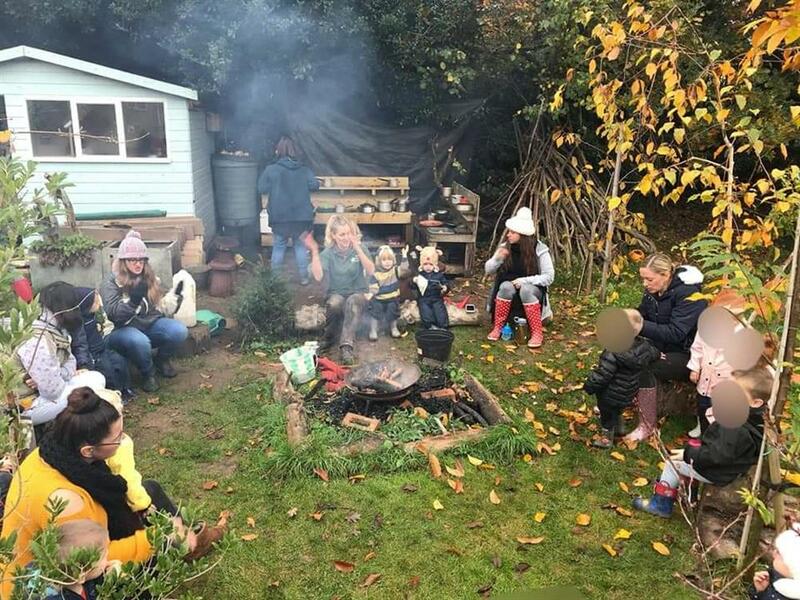 The shelter over the log circle will ensure that the campfire can be lit, marshmallows toasted, songs sung and cosy time shared. 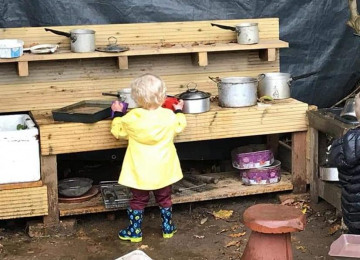 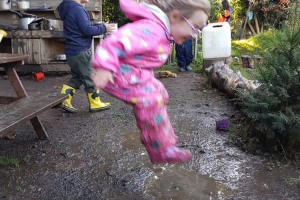 The shelter over the mud kitchen will enable children to continue to connect with natural materials, play imaginatively and make muddy concoctions on the wettest of days! 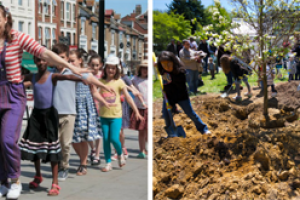 Bringing people together behind good ideas that communities want to see happen! This project is enabled for overfunding. 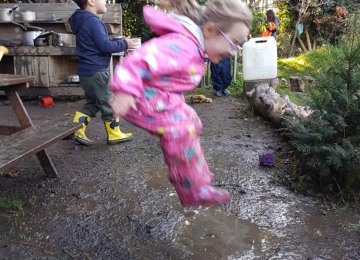 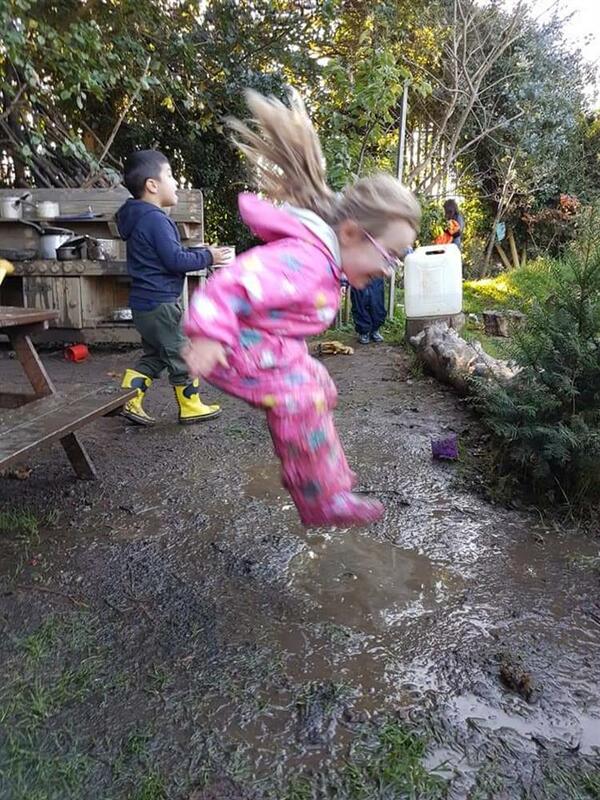 If the project hits its funding goal before the end of the campaign period, any extra funds raised will be spent (in order of priority) on: We'll use additional funds to create a tippy tap and purchase more equipment for Forest School. 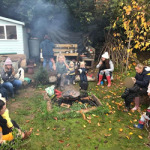 Billericay Community Garden is a garden run by the community for the community. 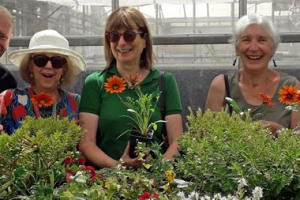 All involved are volunteers and work extremely hard to maintain and develop this beautiful space. The garden produces lots of delicious fruit and vegetables which are shared for free. The garden has: raised beds, healing herb bed, herb spiral, compost area, fire pit, bug hotels, wild flower border, forest school corner, pond and mud kitchen. 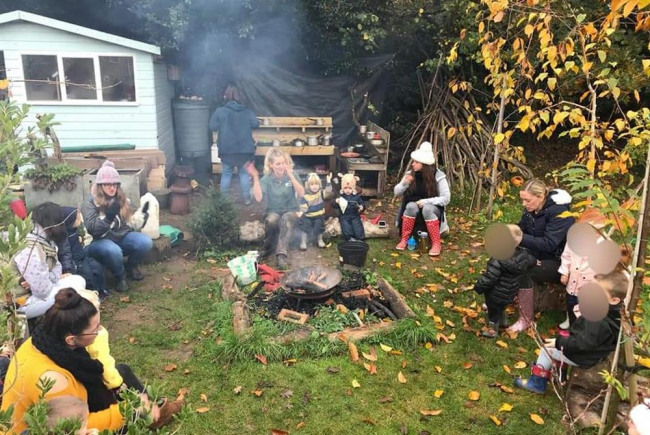 Monthly digging days are held in the garden as well as weekly Family Forest School sessions and volunteer days for local businesses. 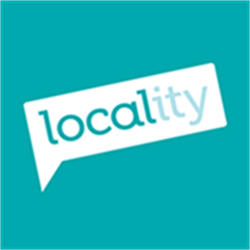 Project Delivery Manager: Billericay Community Garden The Project Delivery Manager takes legal responsibility for receiving and spending the funds raised and ensuring the project is delivered.